DUMBARTON had nothing to show for a really good performance at home to Ladbrokes Championship leaders St Mirren, losing 2-0. DUMBARTON had nothing to show for a really good performance at home to Ladbrokes Championship leaders St Mirren. The St Mirren end of the YOUR Radio FM103 stand was absolutely full, but home supporters showed their dislike of a ticket price hike to £22 for adults and the overall attendance was a disappointing 1,178. 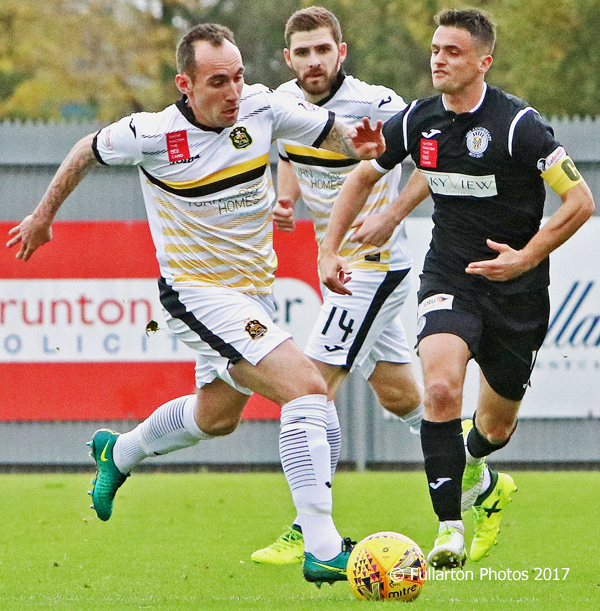 Dumbarton can consider themselves a little unlucky to be at the wrong end of a 2-0 scoreline, with Sons competing well with their full-time opponents. Sons started the game well, taking the match to Jack Ross's league leaders, but St Mirren took the lead in 37 minutes, punishing slack defensive work when Gavin Reilly nodded home. Craig Barr and Christian Nade both failed to take good chances to level the score. The search for an equaliser resumed in the second half and Tom Walsh nearly brought parity, but he fired over. Dimitrios Froxylias fed a decent ball into the St Mirren box, but there were no takers on 54 minutes. A series of corners had St Mirren keeper Craig Sansom under pressure but Saints killed the game on 65 minutes when substitute John Sutton bulleted home a header from a corner. That goal essentially killed the game for Dumbarton. Sonstrust man of the match was defender Chris McLaughlin.. Despite the loss, Sons remain in seventh position and end the first quarter on nine points. The picture shows Mark Stewart breaking forward.